Disembark early this morning and transfer to Vancouver Airport to board your homeward flight (book flight after 2pm). Discover More: Fill your day and explore beyond Vancouver with an exciting Sea to Sky tour (book flight after 9pm, additional cost). Explore Canada, Alaska & New England on a 32 day tour from Victoria to Boston. 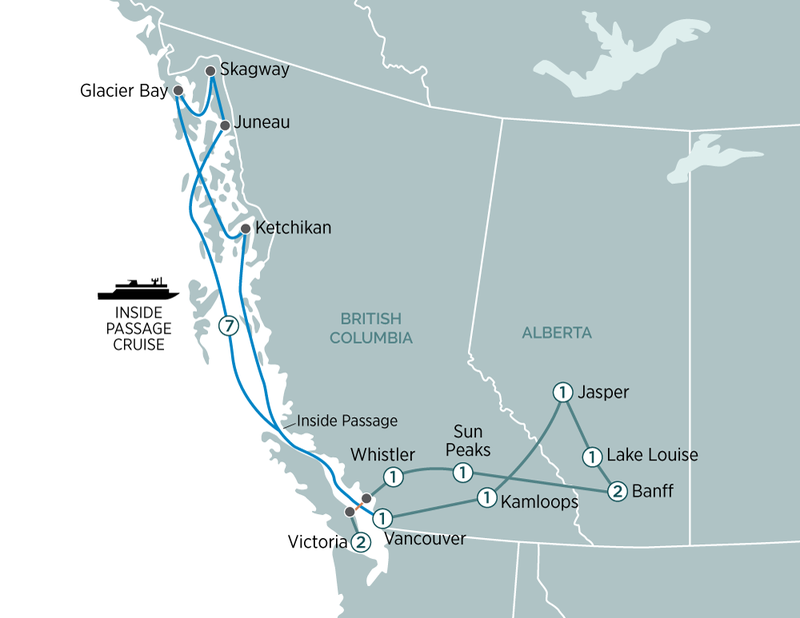 Highlights include Niagara Falls, Lake Louise, Glacier Bay & Whistler.